Nothing is better than filling out an About Me section. Right, Bumble? It's grown in California, packaged in our Manhattan apartment, and shipped by our Mom's. It tastes super good, the box is recycled and has truthful insight on it.... plus the tags are probably funny. Enjoy! Sweet Dreams are Made From Teas. Cute right? 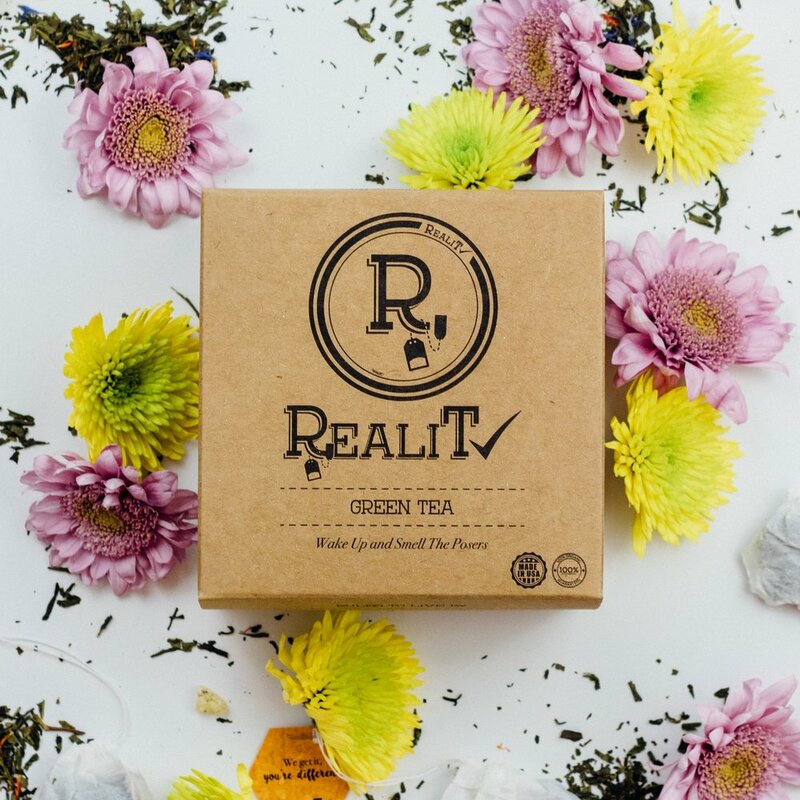 If you have the Sunday Scaries... the world hitting you from all angles... well this tea wont help any of that, but it will help you relax and hopefully knock you out! Seriously though, we did a ton of research and tried a ton of different really bad tea leaves to find something that both worked and tasted great. Enjoy! Wake Up and Smell the Posers. We get it, the festival was last night and there's no way you were missing that. Now it's time, however, to get up, head to the office, and deal with Abby (they're always named Abby aren't they). Or, maybe you want to prove to yourself you are finding a healthier alternative to coffee. Whatever the reason, this will help you get up and get going!